The summer solstice has passed, and I’m now seeing back-to-school advertisements. Seriously, a few days ago I was in Hobby Lobby, and I was shocked to see the fall items being stocked, but absolutely blown away to see some Christmas items!!! What this means for me is I need to get going on my summer literary list. Literary list, I call it, because I’m going to include books as well as film. Look for my upcoming reviews on all of these! Come Together, Fall Apart by Cristina Henríquez – This has been laying around on my shelf for a while. I picked it up, read the first few pages and was Blown. Away. Seriously. The Book of Unknown Americans by Cristina Henríquez - Just after picking up book number 1, I saw that Henríquez had published a new book on June 3, 2014. Since I have the attention span of a six-year-old in a candy shop with a gaggle of girls simultanesouly chasing butterflies, I bought it immediately and started reading, setting the other one down. Since Unknown is a novel and Come Together is a collection, I decided to finish the former first. Seven for the Revolution by Rudy Ruiz – A book that tells the story of seven Latino immigrants. I think I have a theme going on this summer. Latino Americans series by PBS -I’ve really wanted to set aside time to really watch this six-hour documentary. The website features writers like José Martí and Julia Alvarez. Cesar Chavez written by Keir Pearson and Timothy J. Sexton and starring Michael Peña, America Ferrera, and Rosario Dawson. This comes out on DVD on July 22. New poems by Pablo Neruda discovered :: via The Guardian – About twenty new poems – yaaaaaaaaaaaaaaaaaaay! Neruda’s poetry is so sensuous, I can only compare it to biting into the flesh of a ripe peach. Latinos Under- and misrepresented in TV and movies :: via The New York Times – I consider movies/plays/tv to be an extension of literature. Most people don’t think that shows are nothing if there aren’t people writing scripts! This article breaks down what most Latinos could already tell you. Interesting read. 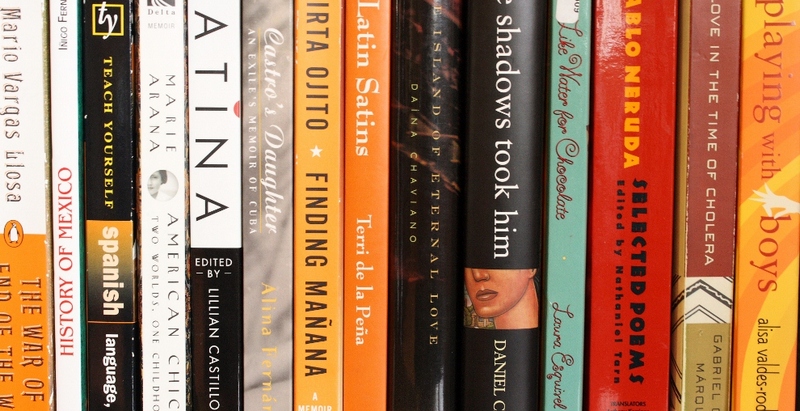 Isabel Allende’s summer reading list :: via her blog – I thought this list would have books that were . . . darker, for some reason. Based on Amazon previews alone, I’d say that I’d be mostly likely to pick up Euphoria by Lily King and We Are Called to Rise by Laura McBride. 10 Chicano films for teaching Mexican-American Studies :: via the Huffington Post — And 10 more recommended via social media. I have seen 8 and 9. I plan on reading Bless Me, Ultima by Ruldofo Anaya and . . . y no se lo tragó la tierra by Tomás Rivera, so I’ll hold off on watching the movies. I’ve added what I can to my Netflix lists. 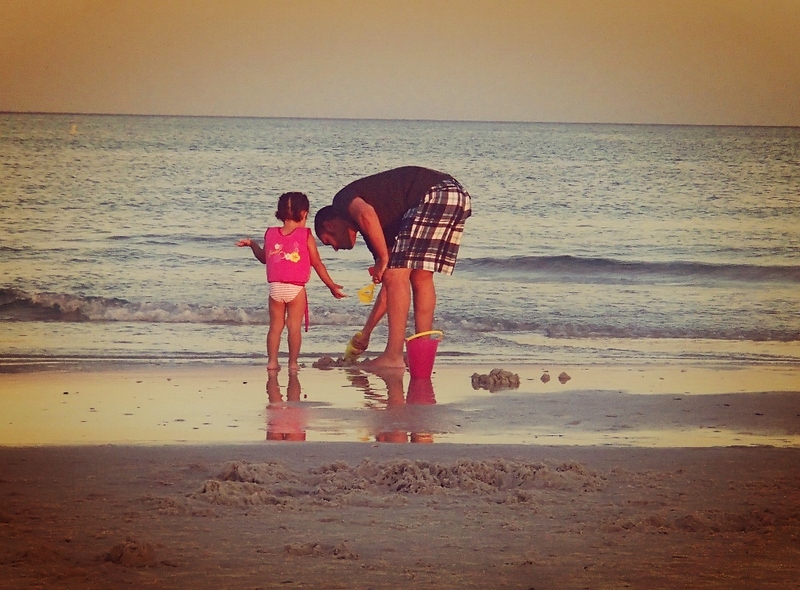 My husband is an awesome dad. I’m not just saying that for Father’s Day 2014. When we found out I was pregnant, I was hyperventilating and flapping my arms around and crying hysterically. Miguel just smiled and said we’d be all right. He went to me with appointments and reviewed my online shopping carts to purchase the 50 billion things we would never use. He picked up basically everything that fell to the floor for the last two months of my pregnancy when I couldn’t bend over anymore, and massaged me on request. Miguel is such a good dad that acquaintances can’t believe he’s real. He would entertain our newborn at 2:00 a.m. so I could get a tiny bit of rest before the next feeding even though he had to work the next day. He shows up for all birthday parties, dance practices, school events, and impromptu at-home performances by Sophia. Even today he says, “Hey, why don’t you go to Barnes & Noble by yourself for a bit while we hang out?” Yes y’all, he’s real. The best thing is that Miguel does this out of a place of love. He doesn’t need a parade for every little thing. He’s a superdad. Superdads shows up for family events. Superdads teach your kid about the Justice League and Ninja Turtles and beatboxing on Incredibox. Superdads mow the lawn and load the dishwasher and tell you if you’re being too strict or not strict enough. Superdads convert the crib into a toddler bed since you can’t see through your tears over your baby growing up. Superdads figure out how to detangle crazy curls and even master the ponytail. 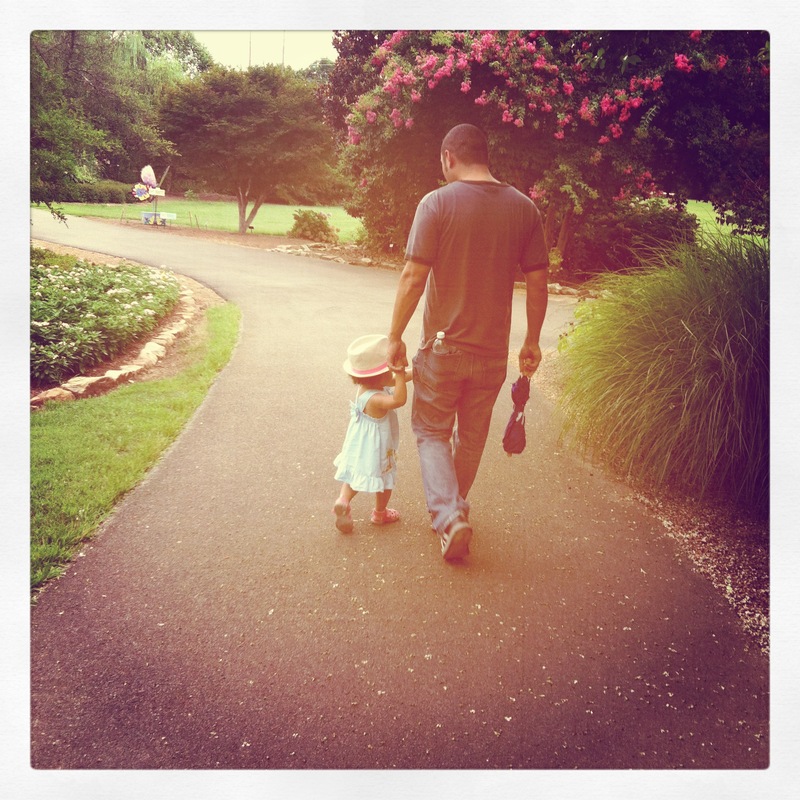 I love to get pictures of Miguel doing things with Sophia when they aren’t paying attention. I’m always behind the camera, not often in the pictures. So what you don’t see in these pictures is a mom whose heart is swollen with pride. This Father’s Day, let’s celebrate all of the modern superdads who are an active part of their children’s lives.